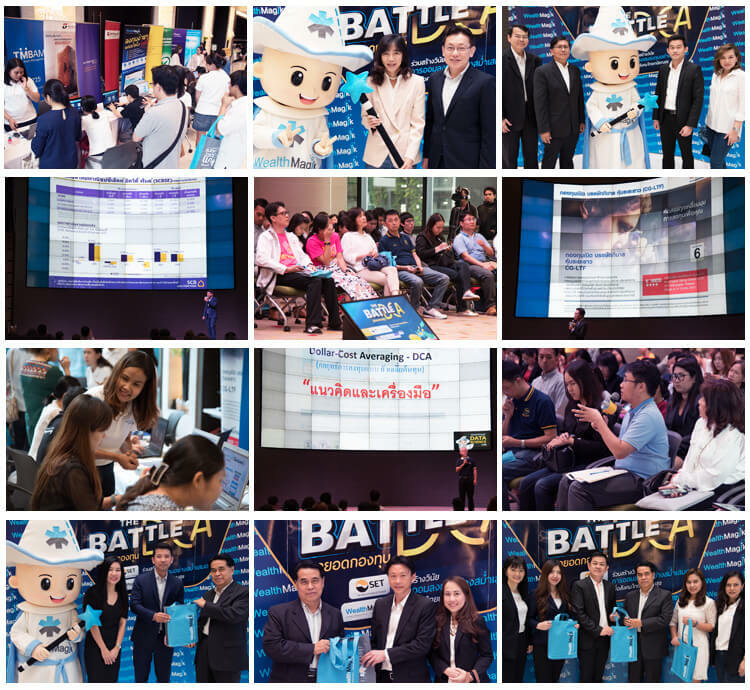 On the 28th of April 2018, Wealth Management System Limited (WMSL) and WealthMagik together with the Stock Exchange of Thailand (SET), successfully held The Battle: The Best DCA Mutual Funds at the Sukree Kaewcharoen Auditorium in the Stock Exchange of Thailand Building. The event provides the opportunity to the Thai Asset Management Companies to present to the public the features of their main two mutual funds that they offer. Investors then have the option to properly choose and do consistently invest in the right funds that are suitable for them. 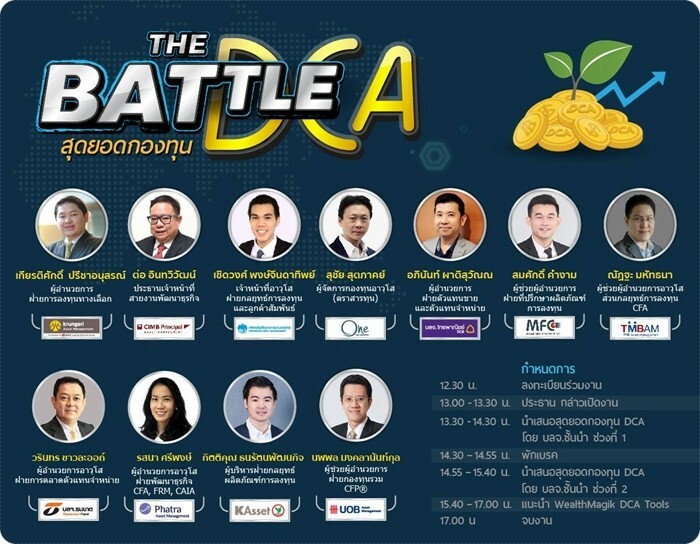 Eleven Asset Management Companies joined the said event and these are Krungsri Asset Management, CIMB Principal Asset Management, Krung Thai Asset Management, ONE Asset Management, SCB Asset Management, MFC Asset Management, TMB Asset Management, Thanachart Fund, Phatra Asset Management, Kasikorn Asset Management, and UOB Asset Management. The event proves to be informative for the investors where they have also been taught on how to use WealthMagik’s DCA (Dollar Cost Average) Tools such as DCA Simulation, DCA Best Timing, and DCA Best Fund.